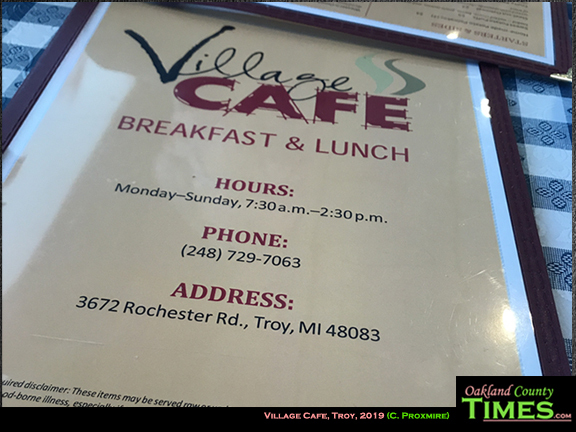 Troy, MI – In my quest to try as many restaurants in Oakland County as I can, I had breakfast with a friend at the Village Cafe at 3672 Rochester Road in Troy a few weeks ago. 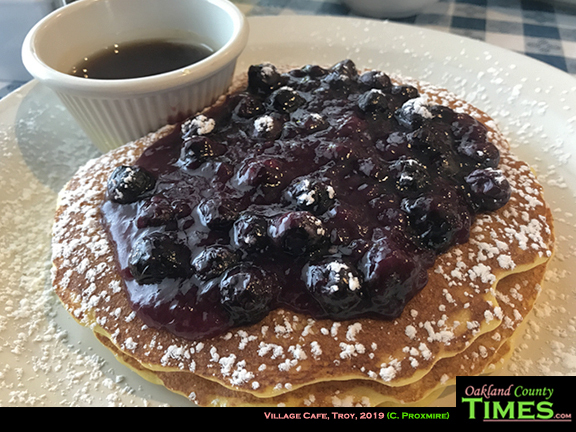 The special of the day was lemon ricotta pancakes topped with blueberries. My mouth is watering thinking back to how tasty this was, an absolutely perfect flavor combination. 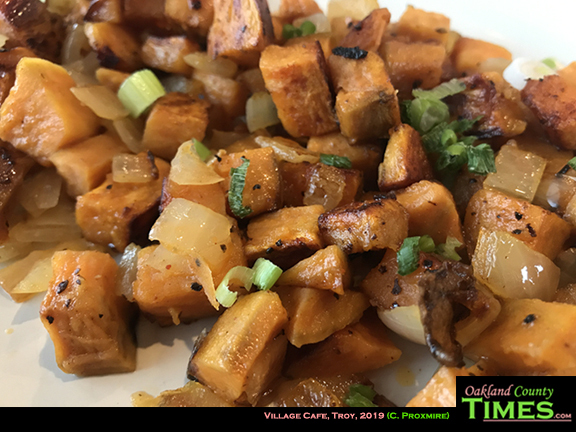 I also go a side of sweet potato hash. Obviously this was too much for one meal, but my curiosity was piqued and I was not disappointed. Little cubes of orange sweet potatoes fried up with green onion and fresh parsley was a wonderful choice. 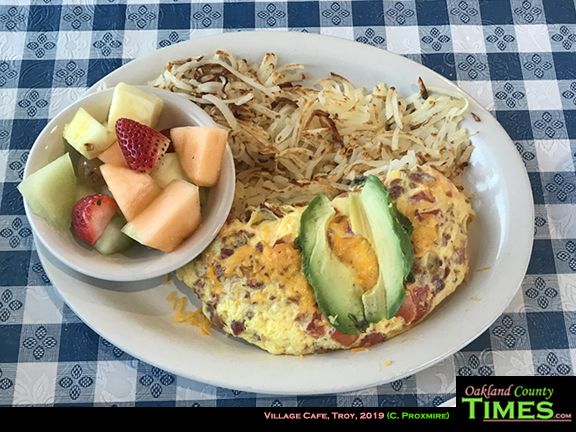 My breakfast companion opted for a healthier start to the day, with a California omelet stuffed with bacon, tomatoes, cheddar cheese, and avocado. They also had fresh cut fruit and shredded hash browns. Other fancy omelet choices included a smoked salmon omelet, Baja,and Greek. Those that like their breakfasts sweet might consider the Oreo pancakes, French crepes, or the banana caramel French toast. 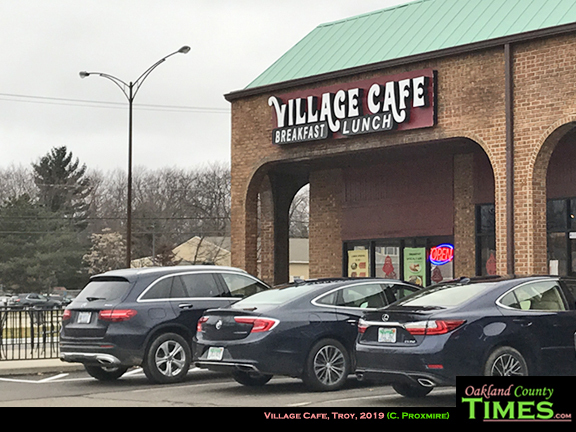 The Village also serves lunch, focusing on quesadillas, salads, and sandwiches. 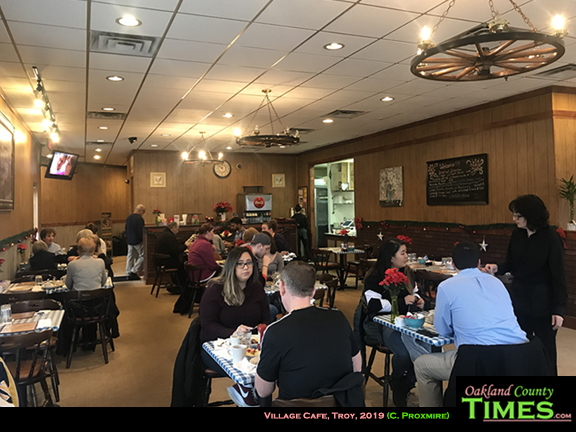 Check out the Village Cafe online at www.villagecafetroy.com.